Netflix is taking a page from a retro children’s book format to experiment with interactive programming. For now, the interactive experiment with the popular animated swashbuckler Puss in Boots is limited to only a few episodes. Viewers can decide which characters he will encounter to determine the path of the storyline. Animated teen comedy “Buddy Thunderstruck” will debut an interactive episode on July 14, while Netflix will also use the format for the upcoming series “Stretch Armstrong” sometime next year. via Netflix tests choose-your-own-adventure TV shows for kids | CP24.com. Oddbods is a non-dialogue comedy featuring seven distinct little characters who, despite their differences, band together to survive the perils of daily life — ordinary situations invariably morph into hilarious escapades. Singapore’s One Animation has kicked off production on a new 60 x 7 min. season of its award-winning kids’ animated comedy Oddbods. The upcoming package was green lit earlier this year, and has already secured key broadcast partners — including Turner, for its flagships channels Cartoon Network and Boomerang in Latin America, and for Boomerang across EMEA. Since Oddbods launched as a digital short-form series, the new season is the second for long-form, but the third overall. The cartoons have racked up 1.5 billion views online and attracted tens of thousands of fans on social media. via One Animation Starts Production on New ‘Oddbods’ Season | Animation Magazine. ITV and other public service broadcasters will be forced to invest more money on British-made children’s programmes amid fears they are on the brink of “extinction”. Ofcom, the regulator, will be given the power to impose children’s television “quotas” on broadcasters amid concerns a generation of children are growing up watching repeats and foreign imports. The last Labour Government downgraded the importance of children’s TV for public service broadcasters, leading to a 93 per cent fall in spending by commercial channels since 2003. It represents a significant shift from what is seen as a golden era of children’s television in the 1960s and 1970s, with shows such as Bagpuss, the Magic Roundabout and the Clangers. Baroness Benjamin, the former children’s television presenter and Lib Dem peer who secured the new powers for Ofcom, said: “Children’s programming is in serious decline. It is our responsibility to make sure that this does not continue. Our children and our grandchildren are entitled to the provision of quality programming that was there for us. 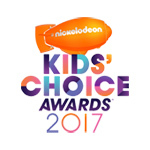 via 'SpongeBob,' 'Dory,' 'Pets' Are Kids Choice Winners | Animation Magazine. Kristin Brzoznowski looks back on last year’s kids’ programming trends, including the launch of several new streaming services and apps dedicated to children’s content. Several new streaming services and apps dedicated to children’s programming popped up throughout the year. Sweden’s Svensk Filmindustri, for one, released SF Kids Play, a new SVOD platform featuring a variety of classic and new children’s TV series and movies from around the world. Kidoodle.TV, a streaming entertainment service for children from A Parent Media Co., became available in 145 countries through Apple’s App Store and Google Play. Amazon Prime Video also announced that it is going global, and original kids’ shows have been a staple of its slate from early on. The service has been putting up more children’s programs for its pilot process, through which it is bringing to series a reimagining of Sid and Marty Krofft’s classic 1970s Saturday morning series Sigmund and the Sea Monsters. Netflix, too, stocked up on kids’ originals last year, while Hulu opted to bolster its slate by signing a deal that sees full previous seasons of Disney Channel, Disney Junior and Disney XD series being made available on the streaming platform. via TV Kids: 2016 Year in Review – TVKIDS. 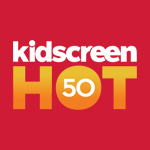 Kidscreen has unveiled the results of its 2016 “Hot50″ ranking of the year’s best in broadcasting, production, distribution, licensing and digital media. The list was voted by Kidscreen magazine and newsletter subscribers, who were invited to pick their favorites over a three-week period. via Netflix, Amazon, DHX, LEGO & YouTube Kids Lead Kidscreen Hot50 | Animation Magazine. Genius Brands International has brought onboard children’s and family media executive Margaret Loesch as Executive Chairman of its Kids Genius Channel. Loesch will provide counsel to the channel’s new President, Deb Pierson — promoted from General Manager — as she spearheads aggressive growth plans for the platform. Loesch brings four decades of success in kids’ broadcasting and family entertainment to the newly created Executive Chairman position. In addition to key leadership roles at some of the most successful kidnets, Loesch has lead development and/or production of iconic programs including Smurfs, My Little Pony, Mighty Morphin’ Power Rangers, X-Men, Jim Henson’s Muppet Babies, Animaniacs and Transformers. via Margaret Loesch Named Kids Genius Cartoon Channel Exec Chair | Animation Magazine. Amazon has commissioned two series for children, including a reboot of veteran producers Sid and Marty Krofft’s Sigmund & The Sea Monsters. The live-action series is based on the classic Saturday-morning television series from the 1970s and follows the US streaming service signing a development deal with the pair last year. The show centres on two brothers and a cousin who befriend a friendly young sea-monster that they must protect from an ambitious sea-monster hunter. Amazon has also ordered an animated adaptation of the children’s book series Bug Diaries, which follows a comic trio of slimy, crawly and buzzy bug friends whose tiny world offers up huge adventures. via Amazon adds to kids’ originals | News | C21Media. Making its world premiere screening at MIP Junior 2016, the preschooler show Splash and Bubbles has an origin that makes it unlikely to have been made by any company except The Jim Henson Company. “At the Henson Company, when a puppeteer brings a project to you, it’s very Henson-y,” says Halle Stanford, executive VP of children’s entertainment. The puppeteer in question is John Tartaglia, who as a teenager started performing Muppets for Sesame Street and since has gone on to create shows such as Johnny and the Sprites. Among Tartaglia’s projects was ImaginOcean, an educational puppet show about ocean habitats that had been performed for kids on cruise ships, and he asked Henson if they thought it could be a TV show. via Diving In | Animation Magazine.